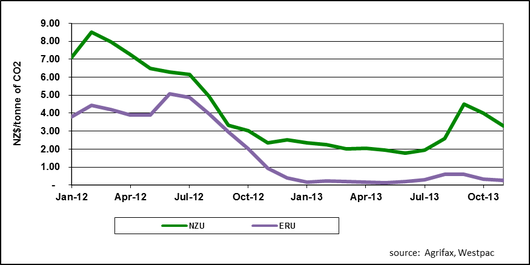 NZUs have continued trending down this month, and currently trading is at around $3.15 -$3.30 per NZU. The prices of ERUs, which are expected to be used for surrender purposes until 2015, have also trended down and currently trading is at around $0.27 per ERU. For those PF Olsen clients who have questions in regards to any aspect of the ETS please contact erin.leahy@pfolsen.com.